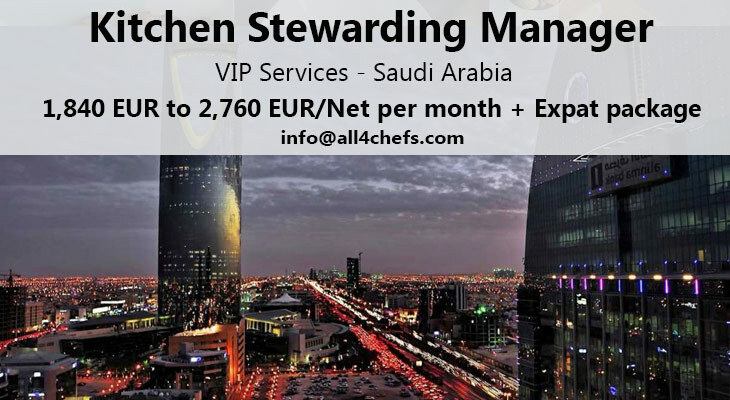 Home/Chef Jobs/Featured/Kitchen Manager – VIP Catering , Saudi Arabia ! 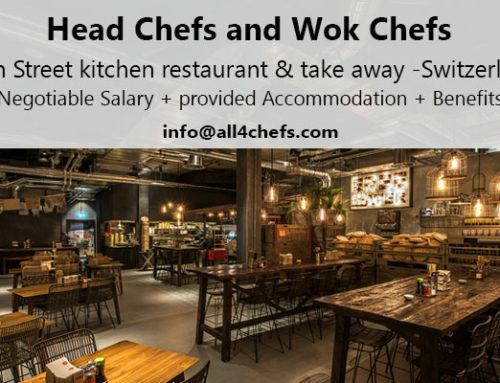 Under the direction of the Executive Chef or his delegate, and within the limits of established Policies and Procedures and Food and Beverage Manual, oversees and directs all aspects of the Stewarding Operation. Supervises the function of all Stewarding Department employees, facilities, operation and costs. Establishes and maintain such systems and methods of operation as are necessary to supply all outlets and production areas with clean, correct, and timely mice-en-place; minimizes cost through breakage, loss and excessive chemical usage and appropriate staff levels. 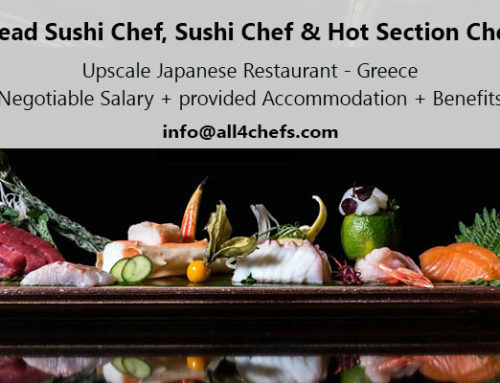 Conducts, under the guidance of the Executive Chef, such functions as hiring specific levels of employees, employee orientation, on-the-job performance appraisal and coaching to ensure appropriate staffing and productivity. Develops formal training plans and conducts on-the-job training sessions for Stewarding Department employees. 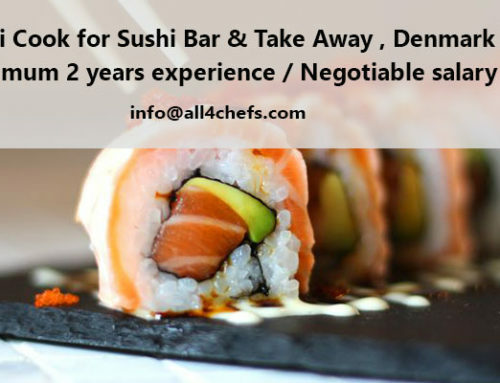 Coordinates with the Executive Chef and the Materials Manager in establishing minimum and maximum operating par-stocks and supplies. Approved store room requisitions. Attends and contributes to the weekly Food and Beverage Departmental meetings. Implements the Palace Sanitation Check List as defined in the Food and Beverage Manual and takes corrective action as required. 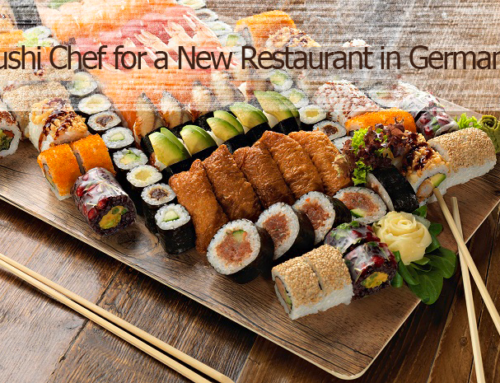 Participates in the preparation of the Kitchen and Food and Beverage Department Goals. Ensures cleanliness of all facilities and equipment. Works closely with Engineering for maintenance of areas and equipment. Initiates requisitions, miss-conduct reports, work and maintenance orders. Keeps log-books of personnel performance, complaints, problems and daily activities. Conducts inventories of operating equipment in coordination with Cost Control. 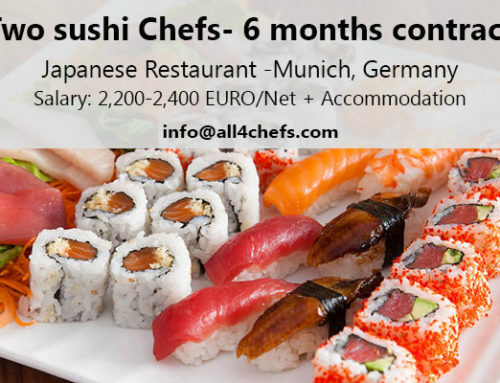 Maintains close coordination with the Kitchen and Banqueting Team. Performs related duties and special projects as assigned. 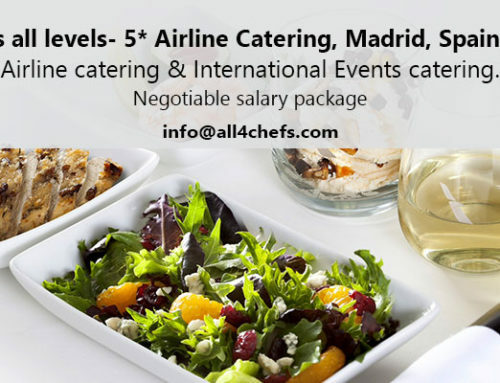 To adhere to the VIP Estate /Venue Private Affairs policies and procedures for quality, environment and food safety.